DHARAN, Aug1: Homestay business is flourishing in Namje village of Dhankuta district days. The homestay, which lies four kilometers away from Bhedetar -- a popular tourist destination in eastern Nepal, is managed by Panchakanya Farmer's Group. Of the 30 houses in the village, 19 have registered to provide homestay facility. But only 13 houses are providing homestay facility at present. Panchakanya Farmer's Group is preparing to expand homstay service to all 30 households in the village very soon. According to locals, visitors spend anywhere between Rs 4,000 and Rs 10,000 per night. Each household earns around Rs 50,000 per month. The Namje homestay has the capacity to accommodate 80 people per day. However, the number swells to around 100 during weekends. The homestay has been drawing both domestic and foreign tourists. Homestay operators offer their local dishes as well as present songs and dances of the ethnic Magar community to entertain the guests. Along with bringing additional source of income generation for local people, homestay has also raised awareness among local people on sanitation and hygiene. They have started keeping their localities clean. Many families now keep their livestock in a shed built far from the house. Dhanmaya Magar of Sagurigadhi Rural Municipality in Dhankuta district has been accommodating guests at her homes since long. "My husband is working in a foreign land. Now, I am planning to call him back so that he can help me," she told Republica. The homestay facility was started by her in-laws. Anil Rana Magar, president of the homestay management committee, said that households operating homestay service are earning good profit. "Financial situation of these households have improved significantly,” he added. The homestay has also helped local farmers find buyers for their farm produce. The village came to limelight after popular international media outlet, CNN, listed Namje village in 'World's Best 12 Unheard of Places'. It started getting foreign tourists after CNN promote the village worldwide. In its report, CNN had promoted natural attractions, local Magar culture, organic farming as well as homestay of the village. “After CNN broadcast news about our village, we felt it necessary to further improve our homestay service. And now it has improved our financial situation,” Rana Magar added. Not only CNN, President Rana Magar has also played a huge role in establishing homestay service in Namje village. This way he managed to bring economic benefits to people in the village which was overshadowed by the popular destination -- Bhedetar. 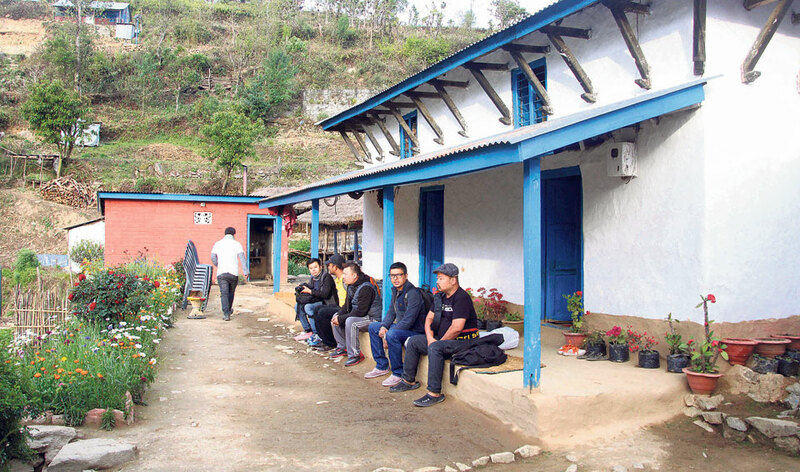 Guests take rest at one of the houses providing homestay facility in Namje village of Dhankuta district.